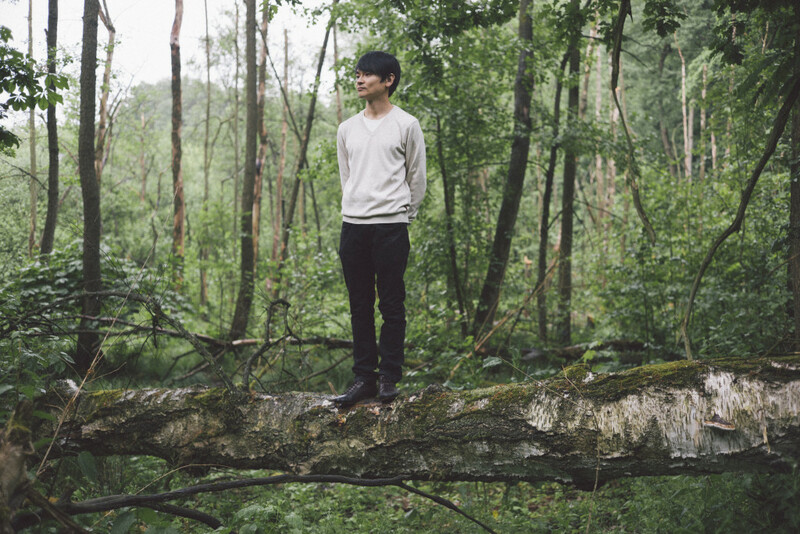 Masayoshi Fujita is a Japanese vibraphonist and composer based in Berlin. Masayoshi first learned how to play the drums, followed by extensive vibraphone training to craft and play his own compositions. Determined not to stick to traditional vibraphone styles or techniques and theory of composition, he seeks his own vibraphone sound and its new possibilities. Masayoshi also prepares his instrument with strings of bead, strips of foil and similar objects. The resulting sounds, akin to distortions, help expand the vibraphone spectrum without eroding the instrument’s intrinsic character or abandoning it altogether. He’s playing at several SHAPE events this autumn, including TodaysArt and Maintenant Festival this autumn. I’m from Kanagawa near Tokyo. I was playing in many different bands in Japan as a drummer since I was small. But nothing really happened. Eventually I established my own solo project as El Fog, which was vibraphone with electronics, beats and a little bit of dub ambient. My first release came out after I moved to Berlin. Why did you switch to vibraphone? The first reason was that I wanted to make my own music and I was looking for a vibraphonist to play with but couldn’t find anyone. One day, I met a professional jazz vibraphone player who gave me vibraphone lessons. Also, around that time, I noticed that I didn’t have lot of talent for drums, so I decided to change instruments. It’s also a different way of playing – drums are perhaps more physical. It’s similar in terms of percussion. I haven’t studied or learned anything about the theory of music, so it was all really new and difficult to me. I took lessons from a Japanese vibraphonist for 2,3 years, but I couldn’t really learn from him. I was not that much into jazz. Afterwards I just learned it by myself and I’m still learning. Vibraphone and drums are totally different. Vibraphone is more atmospheric and has a very special sound. Has this switch also epitomised an emotional way you approach music? I wouldn’t say it’s emotional, but I always have some images or atmospheres in my music. When I compose, I just play vibraphone. Sometimes I hear very nice chords, harmony or melody, and then I get certain images or atmospheres. I try to build a song and stick with that image or sound and replay it, and then make this phrase bigger and richer. Imagine that you’re reading a book written in a language you don’t understand, and as you turn the pages, you find a picture and then you can kind of get the overall idea or character of the book. And my songs are something like this. It’s not really a story, but it gives you images and atmospheres. What does this atmosphere depend on? Is it more your momentary mood or past experience? I guess it comes from my childhood memories, in most cases it’s connected to nature – the moon, the stars, animals, lakes, trees, etc. Once I wondered where those images come from, and I went back to Japan to visit my family and then I saw everything there – all these images that were in my head. With nature, is it more the organic or the spiritual side that attracts you? I would say the spiritual side. In Japan, people feel there’s a spirit or god in nature. In each tree or lake, there’s a spirit inside. Which part of sound is most important to you? Maybe harmony. For me, harmony and melody aren’t separate. It’s probably also because of the physical factor of the vibraphone, which has a much narrower range of sound compared to piano. It has normally only three octaves. Vibraphone has many restrictions. But you also modify the instrument according to your needs, isn’t it? I prepare my vibraphone. I put small plastic balls on the strings for a sizzle sound, or use hand towels to mute it, or tin foils to make noise. You also collaborate with Jan Jelinek. We met in 2009 and decided to make an album together. We’ve actually just finished another album which is going to be out in September. He does the electronic part with a modular synth and sound samples and I play vibraphone, sometimes with loop pedals and effects. We went to his studio for two weeks and improvised and Jan edited it and picked up the nice parts. The album is called Schaum, and there’s a story around the concept with this old picture that he came up with. In what way does this collaboration differ from your solo project? How we approach it is completely different. I just play with the sound and react to him. Most of the time it’s very textural. When I play with him, I don’t have these atmospheres and images in my head. But this difference is interesting. How would you compare the Japanese and European, or Berlin music worlds? Japan is quite different to European cities and Western countries. Classical music, theatre and dance have a huge tradition in Berlin. Lot of musicians live here, you can just bump into them in the street, like I did with Jan Jelinek. This would not happen in Japan. I guess you could maybe walk into Merzbow there. Japan is also more expensive, so this limits your ability to make experimental music. Many young artists realise it’s not possible to be creative in Tokyo any more, and they are starting to move back to the countryside, renting old houses cheaply and trying to make something new. And this not only goes for musicians, but also small bakeries or cafes. It was really amazing last time I went back to Japan, there were so many new interesting places in the middle of nowhere and this is happening across the country. People just started to realise that there are more possibilities and a better quality of life out there. After Fukushima [nuclear disaster], this movement became bigger, I guess, but that movement existed even before that. Many people started to think about alternative ways of living. I did the same and stopped working in Tokyo and moved back to my hometown.